On behalf of MSBM, I am delighted to present this issue of the MSBM Business Review that draws extensively on presentations and discussions at the third MSBM Conference on Business & Management held in Montego Bay last November. The conference brought together an impressive list of scholars, public officials, entrepreneurs and business people to address the timely issue of, Economic Transformation: Role and Impact of Finance in Driving Enterprise, Development & Wealth Creation. Finance is the grease that keeps the economic engine running, and so the timeliness and importance of these discussions for Jamaica and the wider Caribbean cannot be overstated. Consistent with the conference theme, the magazine includes several articles examining how financial institutions can play a more dynamic role in driving enterprise, development and wealth creation despite challenges and threats from emerging information and communication technologies, uncertainties in financial markets and changing consumer expectations and behaviours. Business man Richard Byles, the former co-chairman of the Economic Programme Oversight Committee and long-time head of Sagicor Jamaica, makes a compelling case for the urgent need to achieve the economic transformation that has long eluded Jamaica. Over the last 20 years, Jamaica has grown at the rate of only 0.5 percent per annum while the rest of the world was growing at 4.3 percent. He asks: What conclusions can we draw out of this experience? His answer is that “we have not proactively pursued and driven economic change. We have had a tendency to be pursuing today what was good ten years ago; that’s not good enough.” Looking at the issue from the perspective of the big banks, Nicole Brown of NCB said banks are responding to the disruption challenges from Fintechs and others. For some time now, financial institutions have been facing disruption to their business model. This disruption is due largely to rapidly changing customer perceptions and behaviours. Customers are continuously looking for new ways to be engaged and Fintechs have capitalised on this by providing technologies and interactions that traditional banks are not. This is disrupting how financial services are consumed and has resulted in a rapid increase in the use of nonbank apps and services. Dr William Lawrence, Director of the Professional Services Unit at MSBM, and a Strategy and Management Consultant in his own right, examines the issue from the perspective of mutual financial firms. “The level of attrition of mutual financial firms in Jamaica is alarming. Over the period 1997 to 2017, the number of building societies fell from 13 firms to just two organisations. During the same period, the number of credit unions fell from 73 firms to only 28 entities primarily through mergers.” He suggests several innovations and strategies these firms can adopt in order to create and add value for a more discerning customer base. The Jamaican economy grew by 1.4 percent in the first quarter of 2018 when compared to the similar quarter of 2017, according to The Statistical Institute of Jamaica, (STATIN). While this was positive news it’s another indication that the country will fall far short of the aspirational target of 5 percent growth in four years (5 in 4) set by the Holness administration shortly after taking office more than two years ago. Continued sluggish performance of the Jamaican economy, evident for the past four decades or more, underscores the importance and relevance of issues discussed at the third MSBM Conference on Business & Management which informs the cover story and much of this issue of MSBM Business Review, the twice yearly magazine of the Mona School of Business and Management. The theme of the conference was Economic Transformation: Role and Impact of Finance in Driving Enterprise Development & Wealth Creation and attracted an impressive list of presentations from scholars, policy makers and entrepreneurs and business people offering strategies for making finance more accessible to business. Several presentations acknowledged that in recent years, successive PNP and JLP administrations—under the prodding of the International Monetary Fund (IMF)—have built and maintained broad economic stability. But growth, jobs and economic transformation have been less forthcoming. Consistent with the theme of the conference a mix of academics and practitioners made presentations offering insight, experience and cutting edge research covering topics ranging from financing new businesses to business renewal. There was no gainsaying the proposition that finance was critical to economic transformation. But going forward, Jamaica—as a country—cannot continue in the same old way particularly in light of the impacts of technological developments on business, consumers and public policy. Commercial banks and other traditional financial institutions, as structured at the present time, are unlikely to fill the gap between business ideas and financing needs. Some insights into how banks and credit unions are responding to the new challenges are included in this issue and there were also ideas about the role of private equity and family funds in promoting new and existing enterprises. For example, Professor Delroy Hunter argued in our lead story that, “It is the unleashing of the power of the stock market that is going to drive wealth creation by funding those ventures that local banks, in their current form, would be loath to support adequately.” This would be truly transformative. One panel took a closer look at the constraints and solutions to accessing solutions to accessing credit financing for small and family owned businesses. 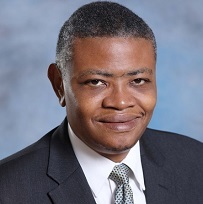 In this context, Dr Kadamawe Knife brought research insights into how traditional NGOs can transition from not-for-profit entities to social enterprises gaining access to capital and business processes with an eye on the bottom line. We present this issue in the hope that it will contribute to the national conversation about the long overdue transformation of the Jamaican economy.